Oktoberfest, which takes place from mid-September until early October in Munich, Germany, is one of the largest celebratory gatherings in the world. Each year more than six million partygoers and Germanophiles converge on the Theresienwiese—site of the early 19th century wedding between the Bavarian Crown Prince Ludwig I and Princess Therese of Saxony-Hildburghausen—a party so awesome that it’s still being celebrated in the same location more than 200 years later. Despite the popularity and undeniable authenticity of Oktoberfest in Munich, the biggest and best celebration of German culture in the world really only grazes the tip of the iceberg in terms of drawing crowds. 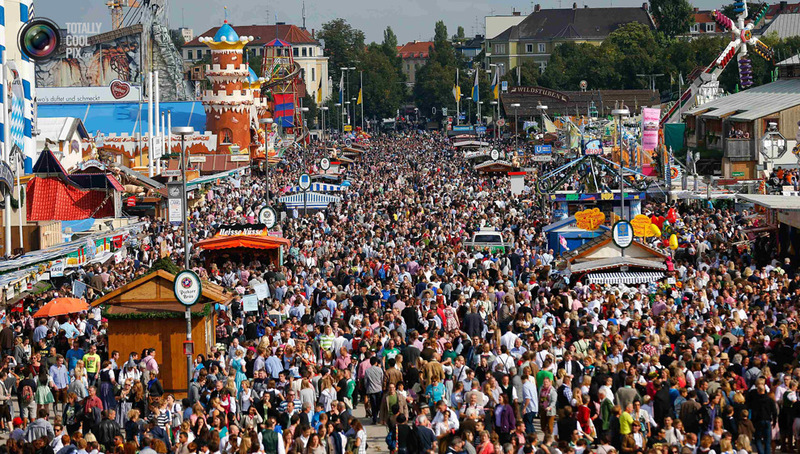 The United States boasts a number of impressive Oktoberfest celebrations. La Crosse, Wisconsin attracts a crowd of about 150,000 to its annual festival. Mt. Angel, a small town in Central Oregon founded by German pioneers in 1867, draws more than 300,000 visitors to its Oktoberfest celebration, which is the largest folk festival in the state. Cincinnati, Ohio—site of Oktoberfest Zinzinnati, allegedly the largest Oktoberfest celebration in North America—sees more than 500,000 visitors at its annual gathering. Beyond the grand-scale festivals, untold numbers of small towns and German communities across the country come together to celebrate their heritage with equally justifiable vigor in September and October. I had the opportunity to attend San Francisco’s suds-fueled Oktoberfest on Saturday September 20th at Pier 48. Oktoberfest By The Bay, as it is called, is the Bay Area’s most gregarious celebration of German culture. Dressed in my craft beer sweatshirt (it was a little chilly) and craft beer hat, I naively assumed that Oktoberfest By The Bay would feature a variety of local and imported brews and would offer an excuse for an unofficial convergence of beer culture in crafty-minded San Francisco. I was, admittedly, slightly disappointed to find that the only options for liquid refreshment were comprised of a three-beer rotation courtesy of event sponsor Spaten. However, not to be deterred from joining in the revelry, I picked up a hulking beer Maß (mass) and with a hearty “Prost!“ the party began. The evening consisted of toasting to Bavarian culture alongside thousands of other partiers, tasting the delicious (albeit marginally overpriced) German food, drinking at least a liter of each of the three Spaten brews (Lager, Oktoberfest, and Franziskaner), dancing to the music of both The Chico Bavarian Band and The Internationals, and watching in perplexity as my girlfriend conversed in fluent German with the Deutschland natives seated next to us at the Bavarian-bier-hall style tables. Overall, despite my own inexperienced preconceptions surrounding the event, Oktoberfest By The Bay proved to be not only a raucous celebration of a culture that cherishes the golden goodness of beer more than almost any other, but a worthwhile one as well. Though I believe that it could be improved by serving a wider selection of liquid refreshment, San Francisco’s Oktoberfest By The Bay served as a healthy reminder that, at their core, the beverages that we love to fret over, that we pair with food, whose flavors and aromas we dissect, and whose profiles we analyze and rank, are intended, above all else, to be shared with glad company and to warm our souls with the cheerful tidings of celebration and community.